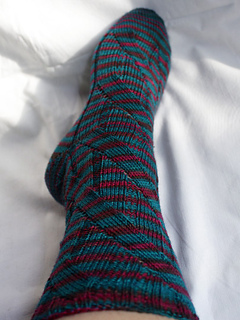 Parallel Twist is a toe-up, charted sock pattern. 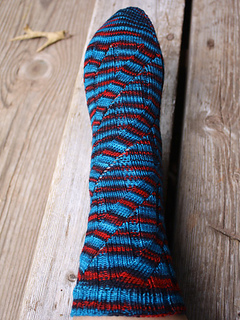 It comes in three sizes of 56, 64, and 72 total stitches. 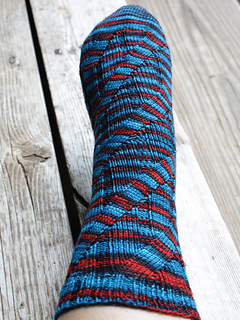 The stitch pattern works well with self-striping yarns and variegated yarns with a tendency to spiral. 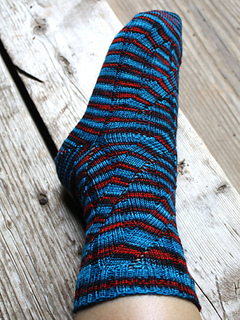 This sock pattern was originally designed as a special treat for Loopy Groupies at The Loopy Ewe during April 2010.